so scary when a cooked food is contaminated with salmonella.. Cooking should kill it.. wonder why it didn't. Sharing your post so word gets out as much as we can. Good thing I NEVER used that crap on my cats!!!!! Great post and thanks for sharing!! Thanks for letting us know. Fortunately we don't eat that food. We had to look these guys up, because we had never heard of them before. We wondered the same as Tails from the Foster Kittens. If they cooked it at sufficient heat, it would have had to have been on the digest spray or on equipment. Unpleasant thoughts, both of them. We hope no kitties get sick from this. 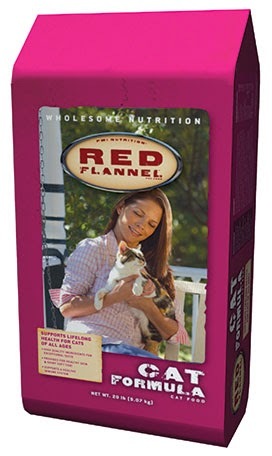 What the heck is Red Flannel cat food? Is it related to that red velvet people food that Pop says is just cherry made to sound fancy? Yikes, that is scary stuff. We don't eat that food, but will share your post now! So scary... and from MN!!! Thank you for making these details available. We agree that is scary indeed. Thanks for posting this valuable information.